It seems strange that someone would have to argue giving a spot in the College Football Playoffs to an undefeated team in one of the best conferences in the nation, but that is exactly the situation that the University of Wisconsin football team finds themselves in. Week 13 was meant to help solidify the top four teams in the nation, but due to key games across the country, things now remain more uncertain in the CFP world than they were at the beginning of the season. It seems as though the team that is going to suffer the most is not going to be one of the teams that lost, but the Badgers, who wait to see the decision that the committee makes. While the final CFP decision will not be made until Dec. 3, the decision made by the committee on Nov. 28 will be a strong indicator of how they plan on filling their bracket in a little less than a week. Where Wisconsin falls on this list will determine how hard the Badgers will need to work in Week 14, and if that work has the possibility of amounting to something. Right now, one of the biggest things going against Wisconsin has nothing to do with the team itself, but rather an upset in the SEC during Week 13. Many did not see Auburn coming in and upsetting then No.1 Alabama during their final week of the regular season, but this victory is causing a lot of waves across the NCAA. For starters, SEC and ACC teams tend to be favored by the CFP committee over teams from other conferences. Teams like Alabama and Auburn usually find themselves early season favorites due to their history within the CFP and the potential that they have to make revenue for bowl game hosts. Auburn was a threat to Wisconsin when they were sitting at No.6 in the rankings, but their upset victory over the Crimson Tide gave them a strong case for earning the fourth seed in the 2017 playoff schedule. In the event that Auburn earned the fourth seed, they would find themselves playing Clemson, a far more favorable match in the committee’s eyes than any potential Wisconsin match. However, this is also a committee that has a strong tie to southern football, and Alabama is pretty much the definition of southern football. Alabama is a 16-time national champion, and many automatically assume that they will be in the CFP lineup. The CFP committee is going to lean towards two SEC teams rather than a Big Ten team, regardless of that team’s record. Wisconsin is going to have to fight for their lives against Ohio State if they want to find themselves in the top four, and even that might not be enough. At this point, Clemson and Oklahoma have already punched their tickets into this year’s playoffs, as it is highly unlikely that either team will lose during their respective conference championship games. Wisconsin is going to have to fight for the third or fourth spot on the bracket, and that fight might not be enough. 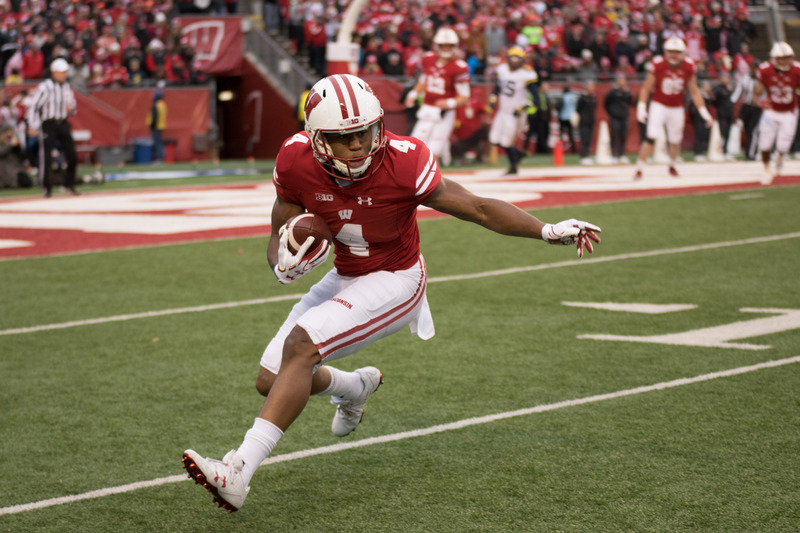 What will it take to get Wisconsin into the CFP’s this year? Well, it is going to take one hell of a win against Ohio State, for starters. Ohio State has always been a favorite of the CFP committee, and with fans in general. Many argue that the Big Ten East is far superior to the Big Ten West, and that the conference is incredibly one-sided when it comes to talent. While Wisconsin has remained undefeated this season, many are already looking at their series against Ohio State as a future failure, believing that Badgers will cave when they meet the Buckeyes. UW needs to win, and they need to win by a sizable margin. A single score victory will not be enough to ensure Wisconsin a spot in the CFP’s. They need to pull ahead by at least 10 points against the Buckeyes. A sizable victory against a great team like Ohio will silence many who have doubted the Badgers, since Ohio State has always been one of the best teams in the nation. Wisconsin winning in Indianapolis on Dec. 2 should be enough to get them into the playoffs, and maybe even enough to secure them the third seed overall. At the very least, a victory would allow the Badgers to get some equal treatment when it comes to this year’s playoff schedule. Of course, a Clemson/Oklahoma/Alabama loss would also favor the Badgers, but at this point in time it is not something that Wisconsin should be hoping for. The Badgers need to make a case that can stand regardless of what happens to any of the other CFP contenders, and that can only come from an Ohio State win. Even with that win, odds are Wisconsin will take the fourth seed. One of the end goals for the committee is to see Clemson return to the championship game again, and many believe that the best chances of that happening occur when Wisconsin and Clemson meet. 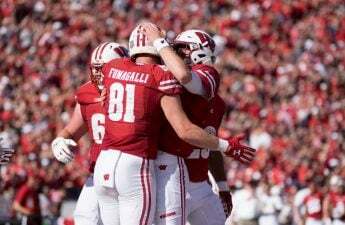 It is sad that an unbeaten team in a top 5 conference finds themselves on the brink of not making the CFP schedule, but this season has not been one that has favored the Badgers. Thankfully this is a team that is used to adversity, and if there is a team out there that can handle this kind of pressure, it is Wisconsin. For now, the Badgers need to focus on Ohio State since that is the only thing that they can control. Hopefully the College Football Playoff committee will come to their senses and give Wisconsin a place in this year’s bracket, but only time will reveal that answer.